The last month of 2012 was marked by several new deployments of Noction Intelligent Routing Platform (IRP). Gorilla Servers, a Los Angeles provider of dedicated servers deployed Noction IRP to improve IP Network performance by automatically analyzing and optimizing network routes for its clients’ Internet traffic. The IRP will dynamically reroute traffic around various network issues which can heavily impact network performance. Enzu, a cloud hosting provider has deployed Noction IRP in its Los Angeles datacenter. 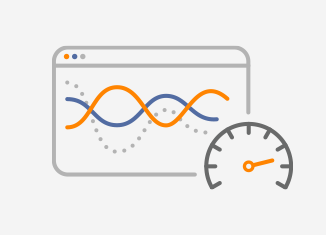 With IRP, Enzu can assess end-to-end performance for latency, packet loss, route stability and congestion. Noction IRP will automatically reroute traffic to ensure the best network performance. Before deploying IRP, the providers mentioned above used Border Gateway Protocol (BGP) as the only routing mechanism. BGP routes data based on a limited and outdated set of criterias, which frequently results in poor performance. The IRP approach is to proactively monitor the network connections, analyze the performance and dynamically adjust network routes in order to achieve maximum performance and cost-effectiveness.